Lotus, in collaboration with parent company Proton and an undisclosed third automaker, will bring a supermini hybrid car to the Asian and European markets in October 2013, Lotus CEO Dany Bahar has told CAR magazine. Drawing power from a hybrid system that combines a 53 kilowatt electric motor with the range-extending 1.2-liter three-cylinder flex-fuel (methanol, ethanol and gasoline) motor found in the Lotus Evora 414E Hybrid concept, the Lotus City Car has a claimed top speed of 102 miles per hour and can reportedly reach 60 MPH in 9 seconds flat. 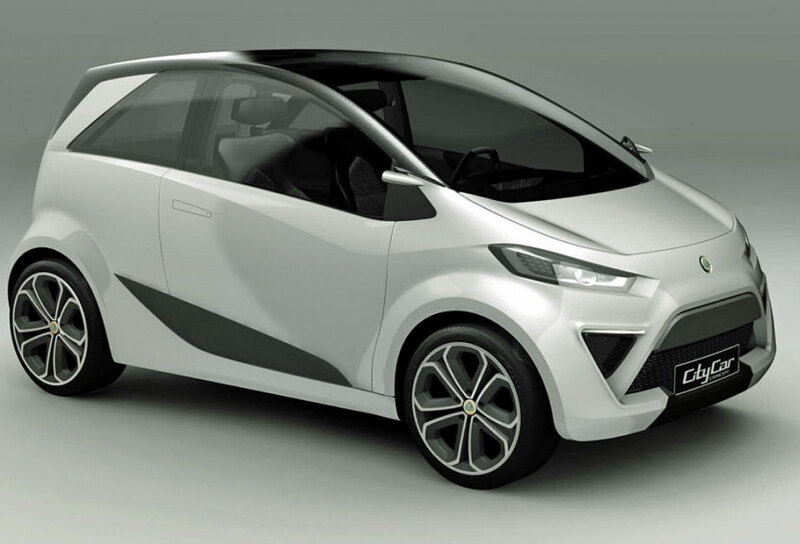 The concept can travel about 39 miles in electric mode only but with the on-board gasoline generator can go an additional 288 miles before refueling is required. The little concept appeared on the Lotus platform at the recent Paris Auto Show, but was mostly overlooked by the presence of five larger, more exciting sports cars.